Exchanging mud and straw decorated clothes for a fresh set, Jess and Jeff met me in Durham’s American Tobacco Campus for adventuresome engagement session part two. 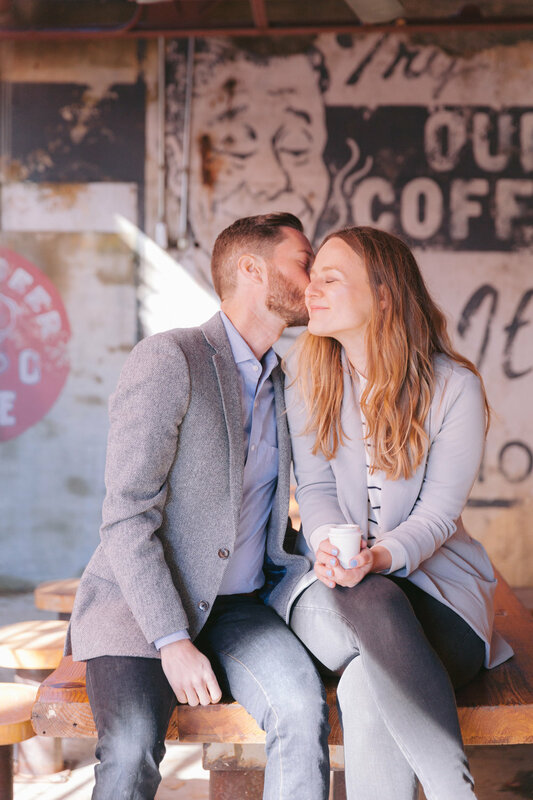 Jess and Jeff were so much fun to walk & talk with, and brought their lovable energy to every shot we took - I love the varying sense of scale and tone in these images, and the mix of playful and romantic that is so winning about these two. These wonderfully odd doorways above street level made the perfect abstraction of a portrait. It all felt rather dreamlike, a little Alice in Wonderland.